In addition to the price hardening, the sector has undergone a lot of stress from claim development over the past 18 to 24 months, leading to a number of carriers exiting the marketplace. Capacity is stretched and carriers are taking a harder line underwriting risk for this sector. Coverage limits for key exposures such as elopement, bedsores, and sexual misconduct are being limited. Historically, assisted living facilities were intended for an ambulatory resident population with the cognitive abilities and skills to live independently with some assistance (e.g., help with daily living activities). The latest trends reflect ALF claims more in line with skilled nursing home facilities. The line between skilled and assisted living exposure has become blurry as boomers age in these facilities and health issues of the population require more care. This is an alarming trend because ALFs in many states are FAR less regulated than skilled facilities, yet the required resident care is almost the same. Also, the ALF per-bed premium rate is not in line with the exposure. Assisted living facilities, particularly smaller facilities, may lack robust compliance programs to prevent accidents and other problems. As the population in the ALF community ages in place, families may struggle with finding alternatives for their family member or even resist trying to move the resident to a better equipped facility. Failure to identify these residents and take appropriate action can lead to a variety of different claims scenarios. Fall risks. As the resident population increases and their health becomes more fragile, patient falls are an ongoing problem. ALF’s should implement risk management for fall risks and regularly evaluate the physical health of residents to determine if the resident should be moved to a more skilled facility. Cognitive degeneration as a result of dementia and/or Alzheimer’s. Patients dealing with memory loss and the effects of Alzheimer’s or other forms of dementia should be assessed prior to being accepted to the ALF. Once a resident, regular assessments should be made for signs of cognitive deterioration. The patient should be moved to a memory care area of the residence or moved to a facility with memory care services when it is determined they are at risk to others or themselves. Changes in mood and personality have resulted in combative patients causing physical harm to other residents, staff, or injuries to themselves. Failure to properly assess and move patients, could also lead to claims from resident elopement or “patient wandering” outside of the facility, leading to serious injuries, including death of the resident. Labor pool. Although not as frequent, improper vetting and screening of aides and other healthcare providers have resulted in increased claims activity alleging patient abuse. The current insurance market for ALFs is narrowing. Fewer insurers are offering coverage in the space. Increased premiums, higher deductibles, decreased limit offerings in certain venues, and lower sub-limited coverages for elopement, bedsores, and sexual abuse are becoming the norm and will continue to tighten the market. Now is the time to review all of your current and prospective ALF clients for full due diligence of their professional and general liability insurance options. 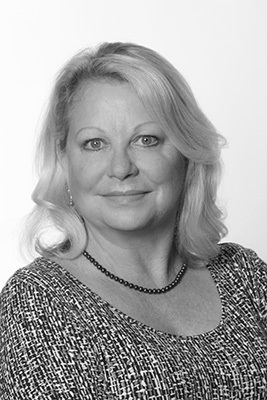 Linda Wright, CIC is the Healthcare Professional Practice Leader for Founders Professional. Linda helps long term care facilities, medical professionals, life science and social service entities across the Country secure professional liability and management liability insurance coverages in conjunction with their retail insurance agency. Linda can be reached at Linda.Wright@founderspro.com.